Our English Golden Retriever puppies started in training have an amazing and obvious desire to please. These puppies have finished just over 2 weeks in our Focused Puppies Training Program. Scroll down to our video links to see for yourselves! Our program is built around the idea that HOW a puppy is trained is more important than the behaviors they learn. The training methods we use are designed to teach behaviors as a secondary goal. Our primary goal is to shape our puppies’ emotional make-up so that they WANT to work for a human. We train our puppies to focus and think before we teach them to perform behaviors. The first video below is of Oliver doing obedience here at Summer Brook Acres. He is 9 weeks 6 days old on the video. Oliver is already in his new home. However, this video shows a typical 10 week old puppy in training here. It explains some of what and how we train. Scroll down for more details. There are links to videos of many more puppies we have trained in the past. For most of our litters, we offer training up until 10 to 10 1/2 weeks of age. 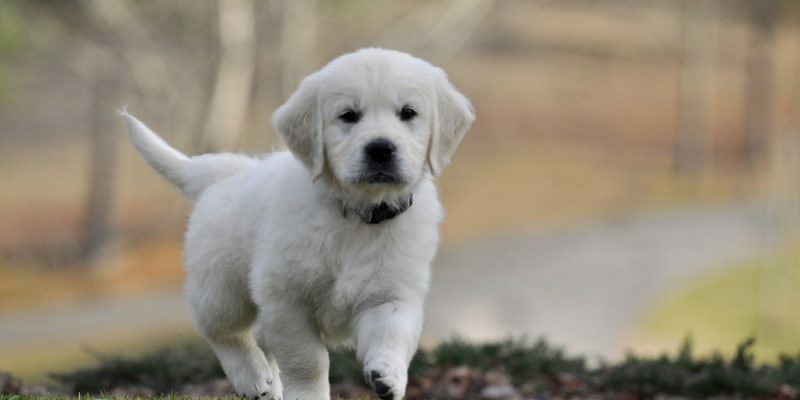 We feel that this is the ideal age for puppies to change homes if a breeder has the time and skill to start intensive one-on-one training before 8 weeks. We will sometimes keep puppies for up to 12 weeks. However, this is contingent on our having another litter when these puppies are in training. We will also occasionally keep back a puppy from an exceptional litter and train them to higher levels. We won’t be advertising these puppies until we see how they are progressing in their training. At that point, we post a video on our site. What Makes Our Training Program Different? What distinguishes our training programs from the training provided by most is the focus our puppies have on a handler. You can see this by looking at videos of our puppies in training. The very first thing we teach a puppy is to have and to enjoy having eye contact with a person. We don’t even think about training particular behaviors until eye contact is the norm. Many (in fact, almost all other breeders’) training videos show puppies that are barely paying attention to the handler. This type training will at the best produce puppies that reluctantly follow a handler and their food. The foundation of our program is teaching puppies to want to look at a handler and focus on them. We train our puppies to think instead of react. They figure out for themselves what they need to do in order to please a handler and get a reward. Our teaching methods are built on marker training and shaping instead of luring and leash pressure. Luring is simply having a puppy to get into a position by following a treat. Leash pressure is pulling (or some trainers advocate popping or jerking) a leash. We will occasionally use luring and leash pressure, but by far most of our training is with shaping. Shaping is a training method that encourages a puppy to want to incrementally figure out on his own the behavior that a handler is wanting to train. It is similar to the hotter/colder guessing game that many children play. We wait until a puppy starts to move in the direction of doing what we want. We reward as he gets closer to the desired behavior expecting more and more from him as he progresses. Shaping takes more time initially to train compared to traditional luring types of methods. However, the results are far better and longer lasting. We use treats but in a different way from lure-based trainers. Treats are not used as lures and bribes, but rather as rewards. In other words, our puppies are not shown the reward and asked to follow it around to entice them to work. It is only presented after the behavior is done. Puppies are encouraged to actively use their brains in order to engage the handler and to earn the reward. Our primary goal is to create in our puppies a desire to work and focus on a handler. Having puppies that are primarily focusing on the treats themselves is not enough. We want willing and happy working puppies that desire above all to please the handler. We don’t want puppies that are obsessively food-focused. Even worse are puppies that are focused on avoiding a punishment. Punishment based training is still the case with many of today’s trainers. See our Focused Puppy Program (8-10 Weeks) for details on the training provided at these ages. See our Training from 10 to 13 Weeks page for details on the training provided at these ages. See our 10 Week Videos page for video examples of puppies at about 10 weeks of age trained by us in the past. Our 13 Week Videos page shows video examples of puppies at about 13 weeks of age trained by us in the past. Click on our 4-5 Month Old Puppy Videos page for video examples of older puppies trained by us in the past. These puppies are not reserved in advanced. Our primary goal with these puppies is in preparing them to pass the AKC Canine Good Citizen test (CGC). Even our 7 1/2 to 8 week old puppies are better trained than most. Starting at about 5 1/2 weeks, they are trained to potty outside by way of a doggy door and are eating in crates. See our How We Raise our Puppies page for information on how we raise our puppies from birth to 8 weeks. I (Karen) do the initial obedience training myself. However, we have a team who help keep things running smoothly. Our team works with puppies on potty training, socializing, and obedience skills already trained. We have three high school girls working with us. Our two daughters who are in their 20’s are working with us during 2019. One daughter has been an incredible trainer for many years. The other is a socialization superstar. We also have a good many friends and contacts that visit puppies. Our goal is to make sure that puppies have a wide variety of ages and types of people to interact with. My training experience includes having trained around 100 puppies. This doesn’t count the many raised by us to 8 weeks. I also have experience training at high levels in AKC obedience. I’ve put many obedience titles on several dogs including completing 3 CDX’s, and numerous rally titles at all levels. I’ve won over 2 dozen first places at AKC obedience trials. I have received several perfect scores in AKC rally obedience. My list of accomplishments also includes a rally combined high in trial at a very large trial. I have received scores of 197 and 197 1/2 in AKC Open A obedience classes. These are extremely high scores at this level. In fact, scores this high often win High in Trial. I’ve also successfully trained at the very highest level in AKC obedience: Utility. It is at the Utility level that dogs do very advanced work. They sniff scented articles out of a pile. 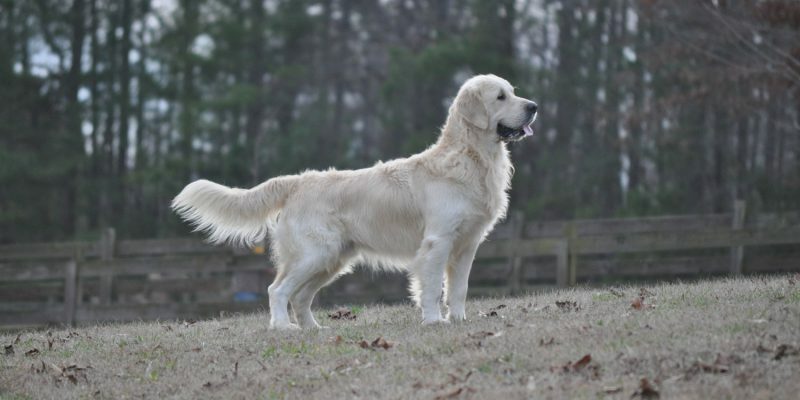 These dogs do directed retrieves and directed jumping. They do obedience work from a distance (with dog on one side of a ring and handler on the other). Jack and I began training for Utility (UD title). He received his first utility leg at his second weekend of shows. Unfortunately, I wasn’t able to complete Jack’s utility tile. We placed him in another home two weeks after he received that first leg. See Jack’s page to see a couple of videos of him and me competing at an obedience trial. We are very selective about where our puppies go. Our puppies must go to homes with people who have time for a puppy. We won’t place a puppy in a home where a puppy will be left alone for most of the day. We cannot send a puppy to a home where he or she won’t receive hours of attention every day. Even our trained puppies need a lot of time and love. 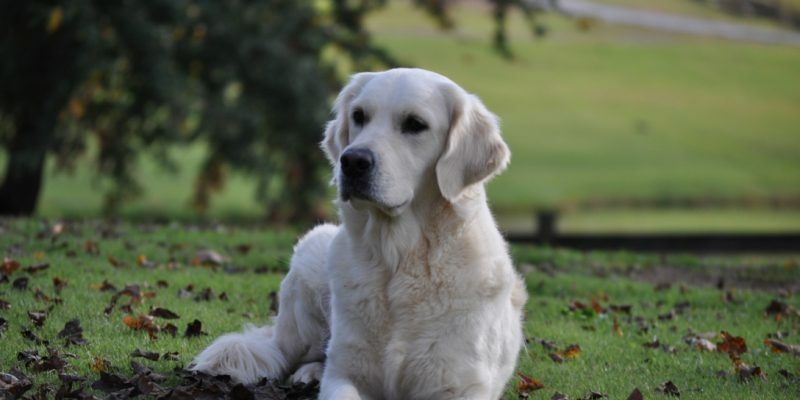 We don’t just offer “Trained English Cream Golden Retriever Puppies for Sale”. Our goal is to provide companions for families who really want to share their lives with a dog. See our Continue the Training FAQ page to learn how to continue the training that we’ve started. This page has answers to some of the more common questions and problems families have when training a new puppy. This page is applicable to any puppy, not just those started in training by us.